Cross-linked PMMA beads are attractive as functional additives applications such as decorative and exterior paints, clear wood coatings, varnishes, metallic paints, flooring and paneling lacquers. Spheromers® are used in water based decorative and interior paint formulations to obtain super matte paints, even for dark colors, combined with excellent side sheen control, good scratch resistance and a surface film which is durable and easy to clean. In clear water based wood coatings Spheromers® give a uniform scattering of light that closely matches the resin systems. This results in superior film clarity with no haze and with excellent scratch and stain resistance. 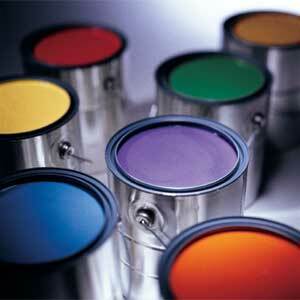 Spheromers® are widely used in industrial coatings for texture effects, gloss control and improved scratch resistance. The Spheromers® beads are inert in most solvents and is easily dispersed in aqueous solutions. Spheromers® are added to thermoplastics polymers such as engineered compounds and masterbatches. The addition of well-defined sized beads to a masterbatch results in an effective scattering and diffusion of light without significantly reducing light transmission. Such light diffuser masterbatches are suitable for a variety of applications such as diffusers for ceiling lighting systems, lightening panels, cell phones, architectural lighting fixtures, and signs. Another application in plastics is the usage of polymer beads as anti-blocking agents. The beads creates space between the film layers by sticking out from the film surface creating “little bumps”, which help to minimize the film to film surface contact, increasing the distance between the two layers, thereby minimizing blocking. In film extrusion applications, Spheromers® can be added to create matte films with an even surface and well defined scattering of light. Caché® CA, cross-linked PMMA spheres with a diameter of 6 micron is specially designed for use as additives in cosmetics and toiletries. The monosized particle distribution gives cosmetic products unique flow properties and a soft touch feel. The low residual monomer content ensures a product free of smell. Caché® CA is approved according to EU-directives for use as an additive in cosmetics and toiletries. The Calibre® CS product range are high precision calibration standards composed of cross-linked polystyrene, which ensures good durability and chemical resistance. Typical applications are calibrations of instruments, machinery, optical electronic euqipment and laboratory equipment such as particle analyzers and sieves.